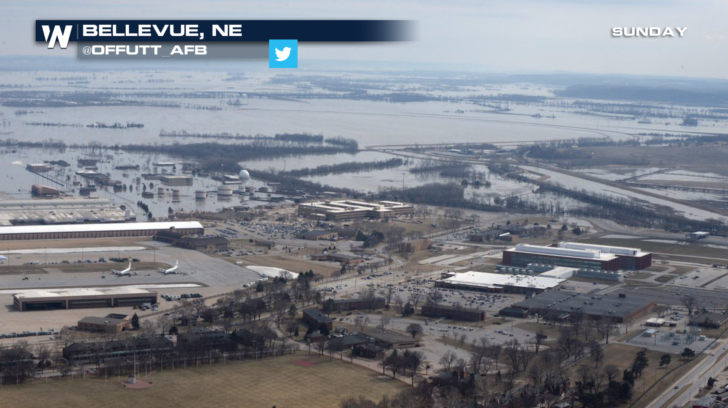 Extensive flooding continues to impacts the Central Plains. Nebraska was one of the hardest hit by flooding, with several rivers overflowing their banks. 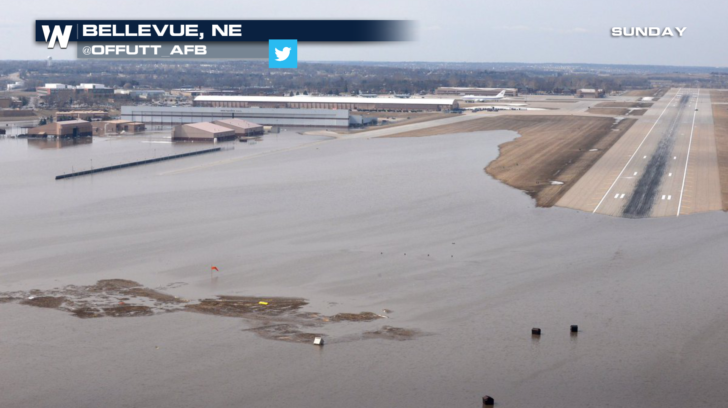 Swollen rivers took over towns, roads, and even the Offutt Air Force Base south of Omaha. Check out this imagery captured by our NASA Earth satellites from before and after the flooding in Nebraska. See more incredible before and after imagery of the flooding. The Offutt Air Force Base sits along the Missouri River. One-third of the base flooded over the weekend. More than 30 buildings were inundated with floodwater and many others sustained damage, including the head quarters for the 55th Wing, 55th Security Forces Squadron, 97th Intelligence Squadron, and 343rd Reconnaissance Squardron. There is an 11,700 foot runway on the base, and at one point, about 3,000 feet was submerged. No planes have been damaged in the floods. The Base remains operational, however, over 1,600 workers have been relocated to other buildings.